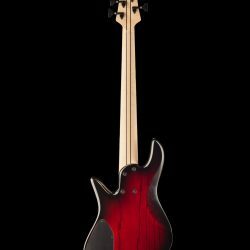 2017 NAMM bass #4 is a wonderful Emperor 5 Bolt-on with the tried-and-true wood combination of an Ash body and Birdseye Maple fingerboard. 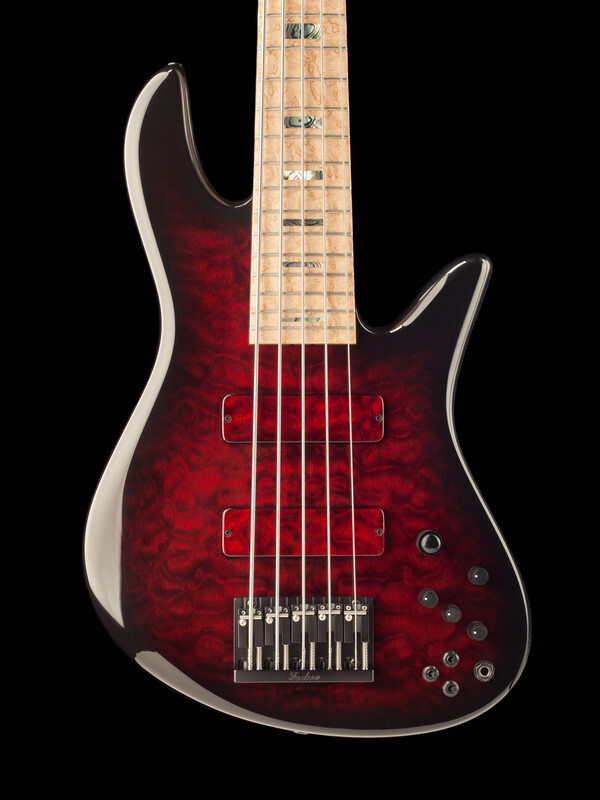 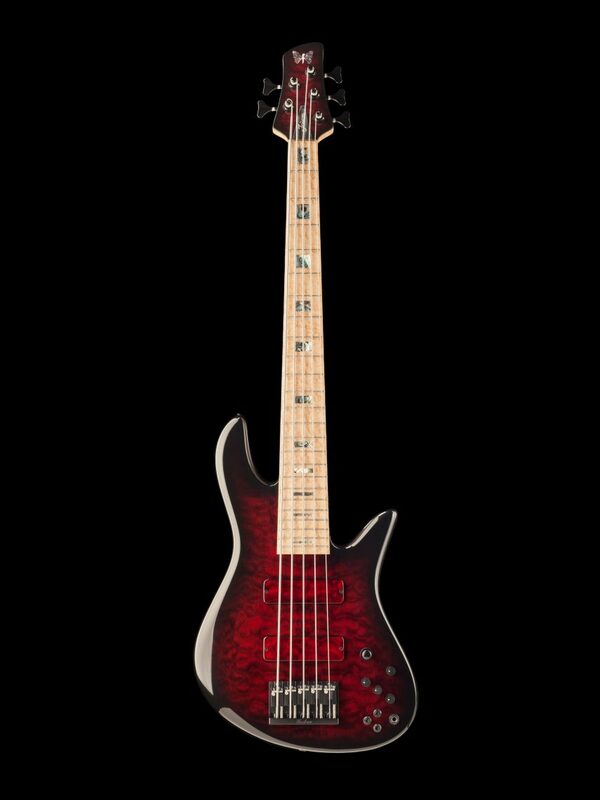 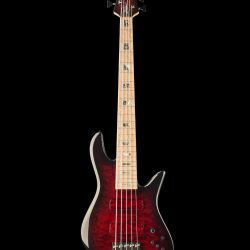 Tonally, this bass is punchy and aggressive with a deep, solid low end, precise mid response, and snappy, articulate highs. 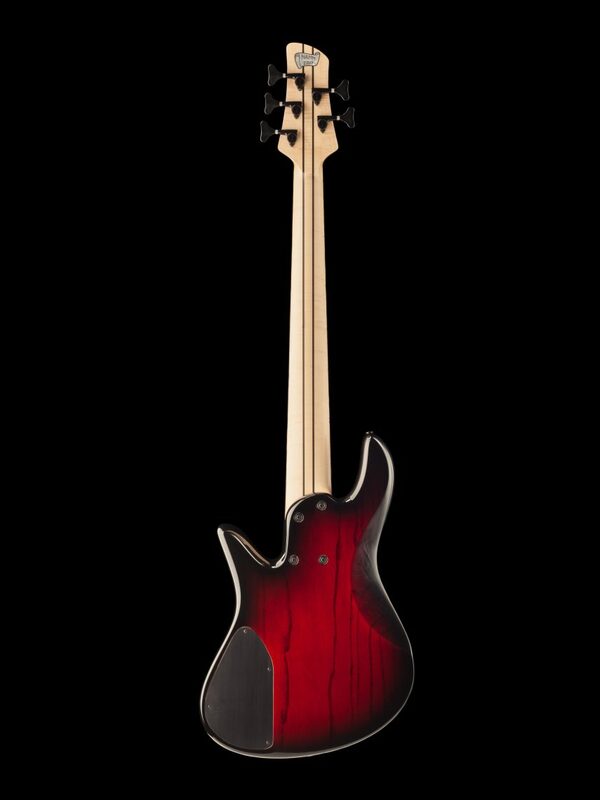 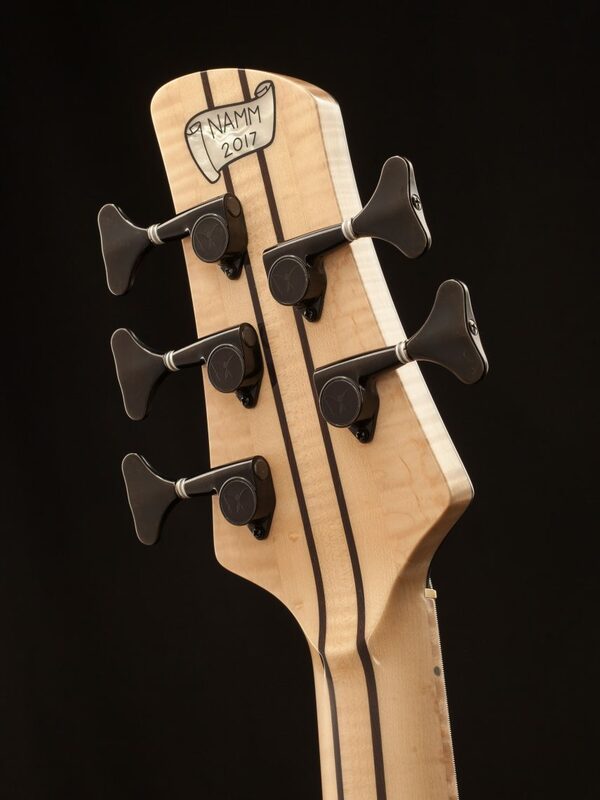 This body shape and wood spec is a favorite of Fodera co-founder Joey Lauricella, as well as many of our customers! 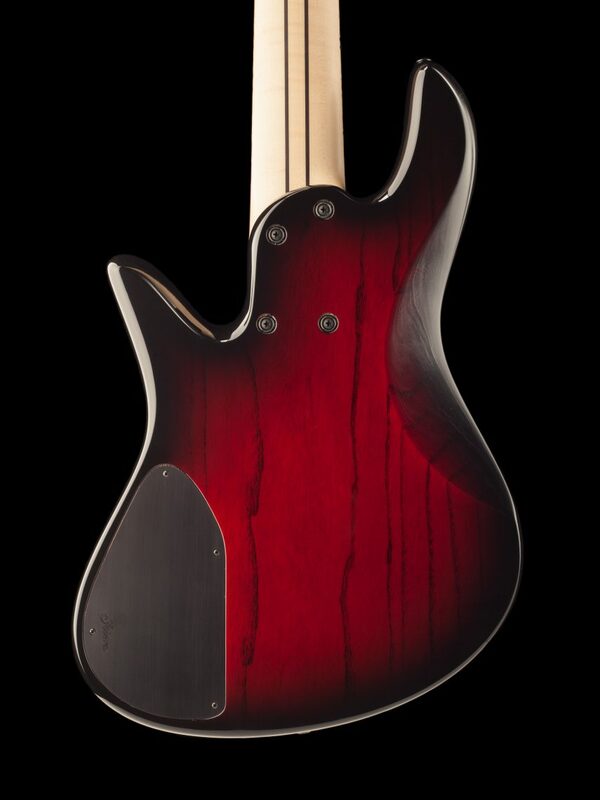 This instrument also features a Quilted Maple top with a Black Cherry Burst gloss-finish, along with matching wooden pickup covers. 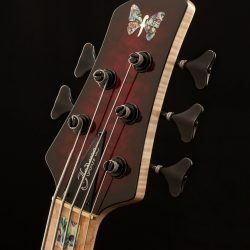 The result is an incredibly gorgeous look that we have not seen on Foderas before. 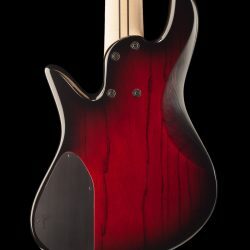 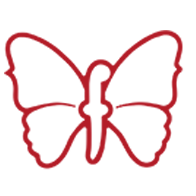 However, after seeing this, we would not be surprised if we get a lot of requests for this look going forward! 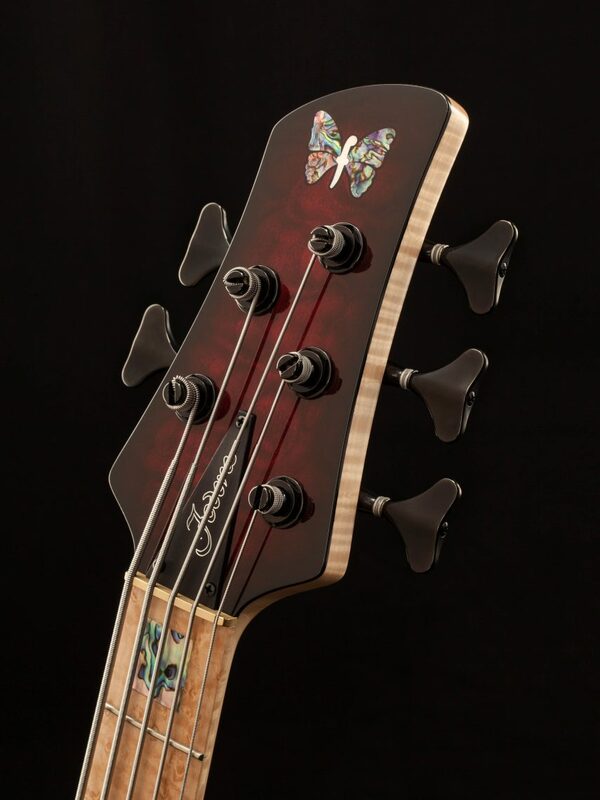 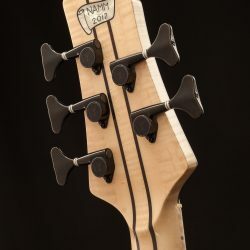 In addition, this bass also features Wenge neck stringers and Abalone block inlays!